Level of artistry – Aspects which determine this include the amount of movement and fluidity of its design, its sense of visual depth or lack thereof, effective use of proportion between design elements, contrast, shading and outlining to create visual depth, and the level of overall unity in the composition as a whole. Level of beauty – Does the rug possess an overall balance and harmony between its various motifs, and between its colors and designs? Are the individual colors used appealing and do they work together harmoniously? Is the carpet’s appeal universal? Does it have staying power, i.e. the more one looks at it, the more one sees and is intrigued by it? Does the composition slow you down, even literally encompass you, giving you the sense you could look at it forever? 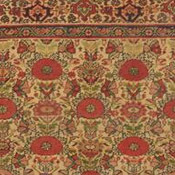 The carpet’s age – Rugs woven before the Commercial Period took hold (roughly circa 1900 or earlier) are the most desirable because of their much greater originality, purer, more beautiful naturally dyed colors, including exotic hues not found in later rugs, and expressive designs. The earlier the piece, the greater the value. The rug’s condition relative to age – The earlier the rug was woven, the more wear and restoration is allowable. The impact on value is determined by how much restoration there is and how well it is executed. Chemical washing, extreme sun-fading and staining, and reducing the size of rugs have a deep negative impact on the rug’s value. 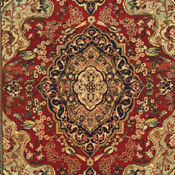 Quality and uniqueness of colors and dyes – All natural dyes are paramount for the carpet to have more than just decorative value. Beyond that, various dyers had varying levels of skill and invested different lengths of time in dyeing the yarns. The “quality of color”–its radiance and level of nuance within each color–is centrally important. Certain rare colors such as Tyrian purple, saffron yellow, cochineal rose and greens add to the carpet’s value. 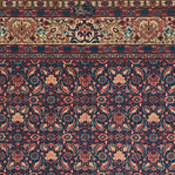 Uniqueness – A carpet’s originality significantly affects its desirability to connoisseurs, as long as it maintains the elements of beauty listed above. Carpets that are entirely singular works of art are the most desirable. Does its design contain uniquely drawn or arranged motifs, used in a balanced, harmonious fashion? If the design is traditional to the weaving group, is it an exemplary representative of that style? 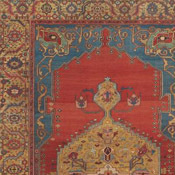 Beyond the use of rare dyestuffs such as tyrian, saffron, cochineal and pistachio, some master weavers on the tribal and village level and designers for the larger town and city rugs also successfully sought other ways to create singular tonalities, which were too challenging for others. These one-of-a-kind hues also add value. Rarity – Certain 19th century styles are much more prized, and the best pieces are the most sought after. In the city styles, these include superb quality Motasham Kashan, Hadji Jallili (Haji Jalili) Tabriz, Kermanshah and Ferahan Sarouk; in the village styles — Bakshaish, the best Serapis, Camelhair rugs and Ziegler Sultanabad; in the tribal styles — Caucasian, Afshar and Qashqai. Articulation of the design – Especially in City rugs (also known as “Court carpets”) the clarity of line is an important factor. Some rugs demonstrate a premier level of craftsmanship through the sharpness of their motifs and a level of detail work akin to a line drawing. This precision, enhanced by very even cutting of the pile’s surface, a higher quality of wool and the fineness of its weave, is an all-important attribute of a top-notch court carpet. Knot count in antique carpets is judged within a region’s traditional weave, which sets 19th century rugs apart from 20th century production where knot density was given much more importance while the articulation of design was demoted. Note that even the best examples of tribal rugs woven by nomadic groups have much looser knotting and less articulation of design, which actually contributes to their signature rugged aesthetic. Wool quality – There were many different grades of wool used in rug making. The best wool possesses a very high lanolin content, making it extremely lustrous and giving a radiance to the colors and adding to the clarity of the design. It is elastic and lanolin-rich to the touch. Our easy-to-follow guide for identifying the level of artistry in antique rugs.  Hosted by Jan David Winitz, president and founder of Claremont Rug Company.